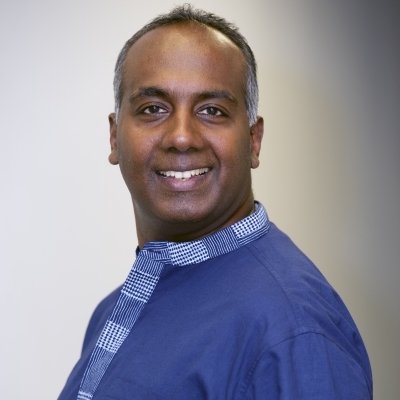 Gangesh Ganesan is a co-founder of PeerNova and serves as its President and Chief Executive Officer. Mr. Ganesan is a sought-after, inspirational thought-leader and frequent speaker at blockchain technology conferences. He is an experienced technologist and entrepreneur and has worked in senior management, technical, marketing and product-management roles in many prominent companies in the semiconductor, cloud, and software industries. Before founding PeerNova, Mr. Ganesan worked on streaming real-time applications in Big Data platforms like Hadoop. The company, Locomatix, was acquired by Twitter and the platform open-sourced as Heron. Prior to that, Mr. Ganesan was President and CEO of Ubicom, a network processor company that was acquired by Qualcomm. Mr. Ganesan has over two decades of experience in networking, deep-packet inspection and distributed systems. Prior to joining Ubicom, Mr. Ganesan served as Director of Strategic Marketing for Marvell Semiconductor and as Director of Marketing for TCAMs and Networking Search Engines at Cypress Semiconductor. Mr. Ganesan started his career as an ASIC designer and Systems Architect at the Telex communications division of Bosch Communications. Mr. Ganesan has an MBA and an MS, both from the University of Minnesota, Minneapolis, and a BE from College of Engineering, Guindy, Chennai, in India.